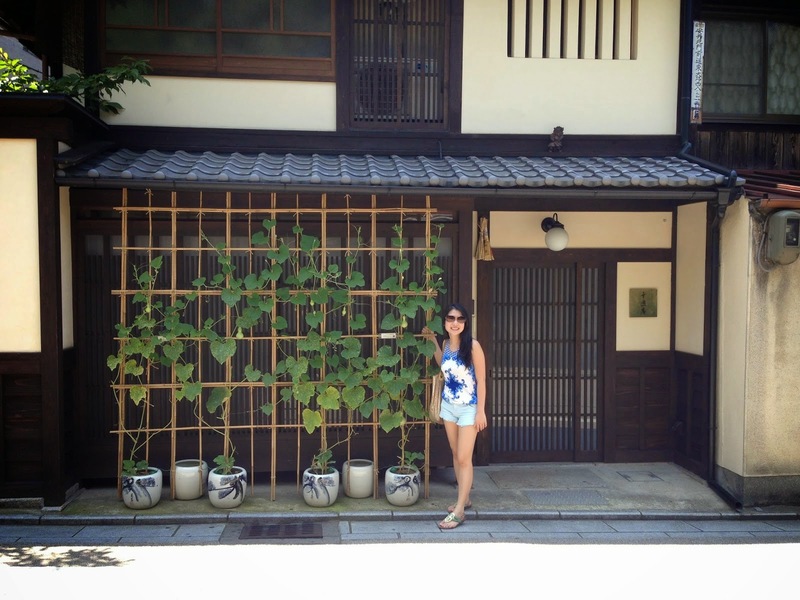 Kyoto, Japan.. is.. just love. It was very, very hot on the first day, so we had to be strategic on the places we wanted to see, as the heat made our walks really exhausting. 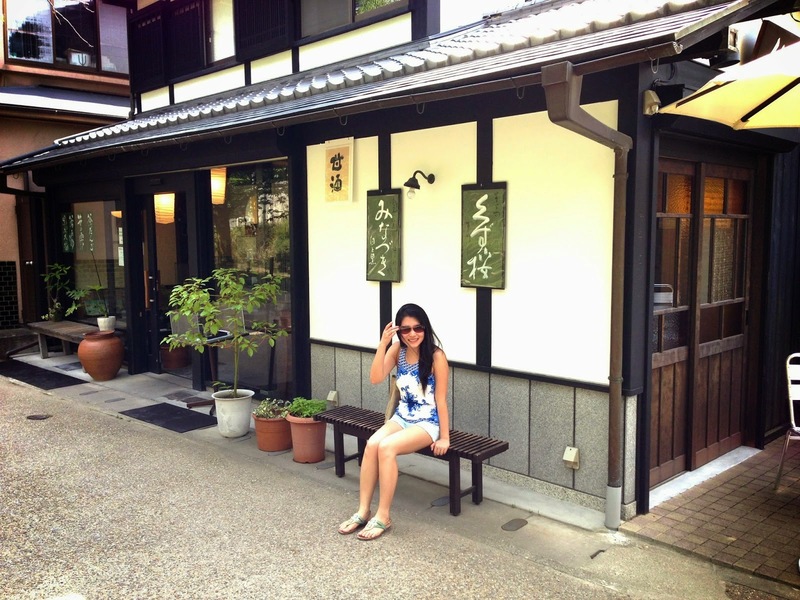 And our regret was, not staying overnight in Kyoto, and missing out on the night scene. So here's where our walk started.. 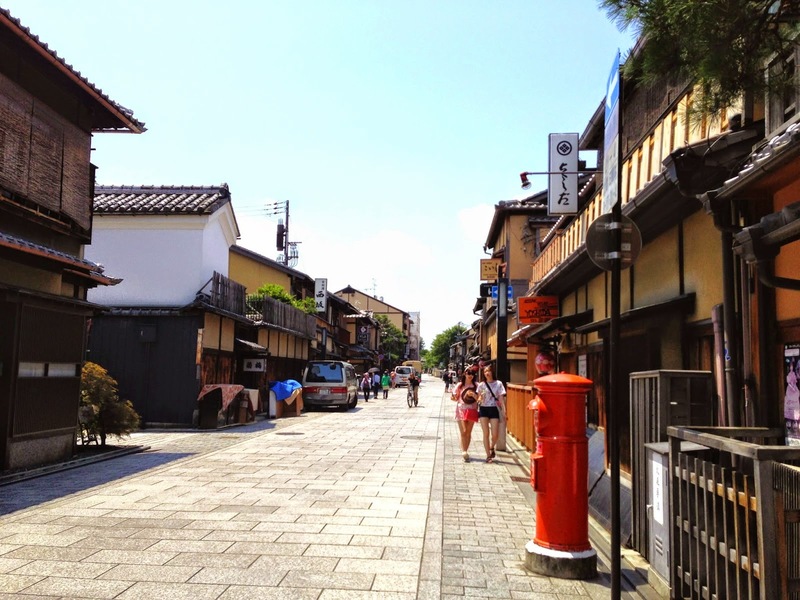 The Gion District, the most exclusive geisha district in Japan. 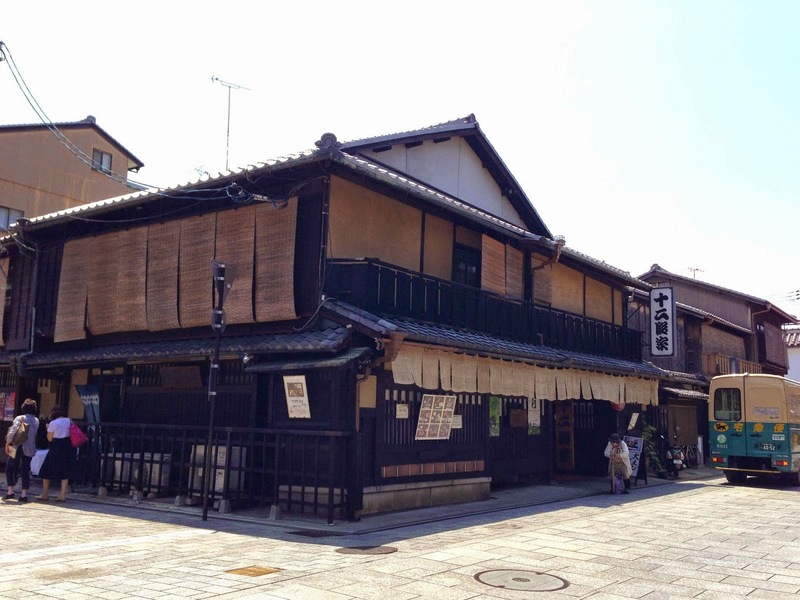 The streets are lined with well-preserved old-style wooden merchant houses or teahouses, where the geishas, or geikos as they are called in Gion, entertain their patrons. Unfortunately, we did not see any geiko because we did not stay until the evening. This area would have looked really mesmerising with all the lights and drama at night. We just kept walking and allowed ourselves to get lost somehow.. As we felt like we were in a movie set location. 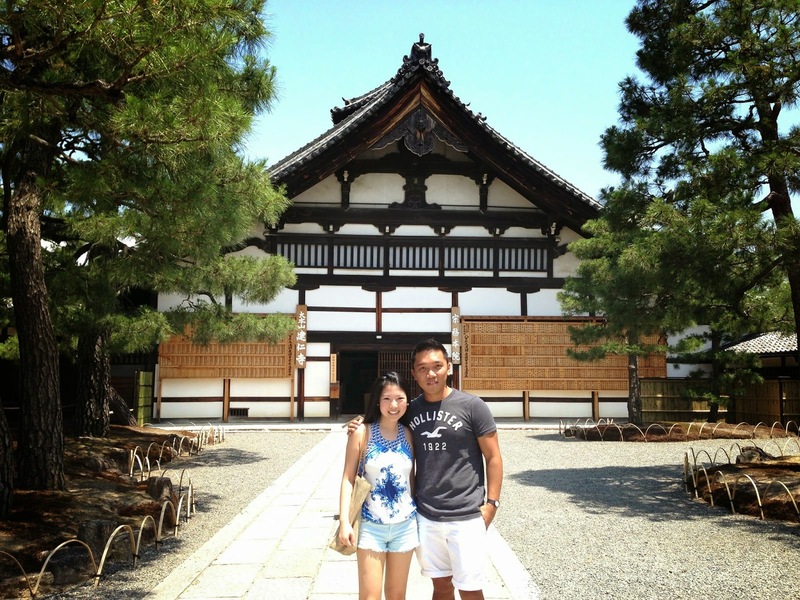 Reached Kennin-ji Temple, the oldest Zen temple in Kyoto. Local people pass by the temple grounds all day long, as it has become part of their regular walkway. And now at the complex of the Yasaka Shrine, where worshippers frequently drop by to offer prayers to their god of prosperity and health. 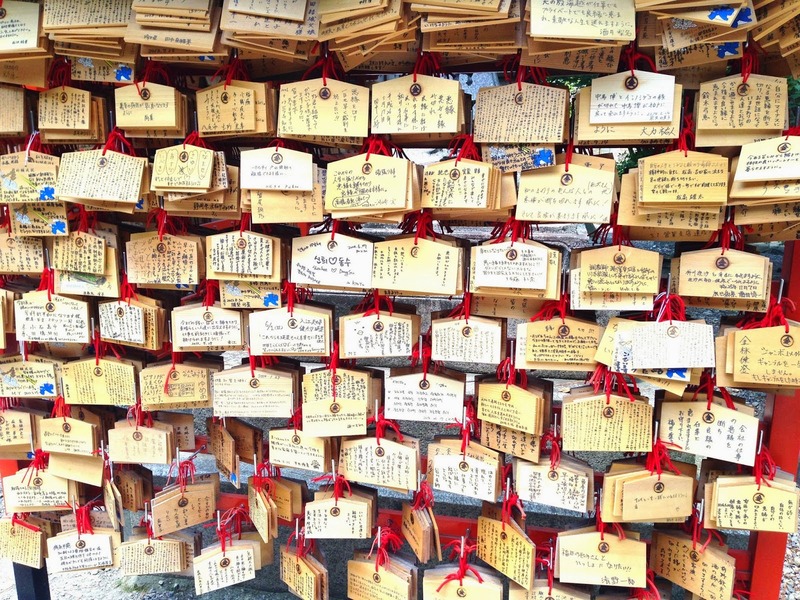 Wooden prayer tablets. We did not go inside the shrine itself anymore. 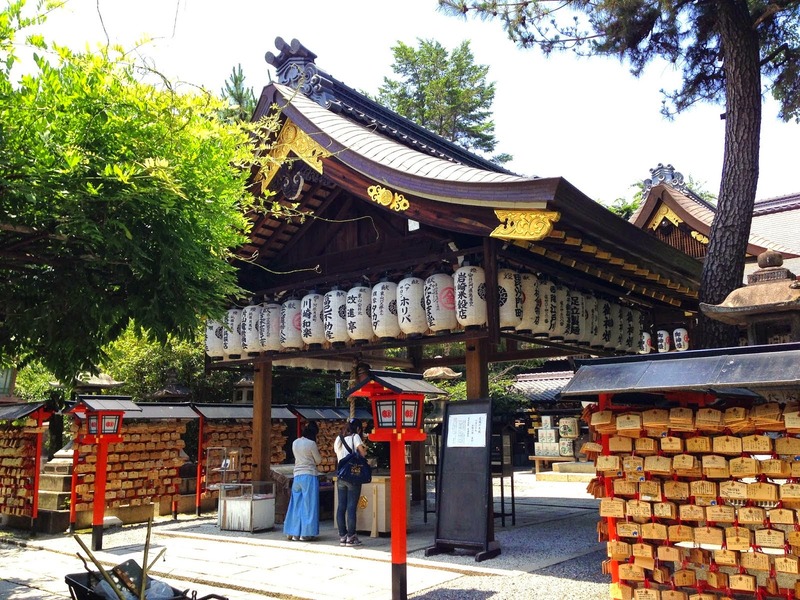 And this is where you wash your hands and mouth to cleanse your body and mind before entering the shrine. 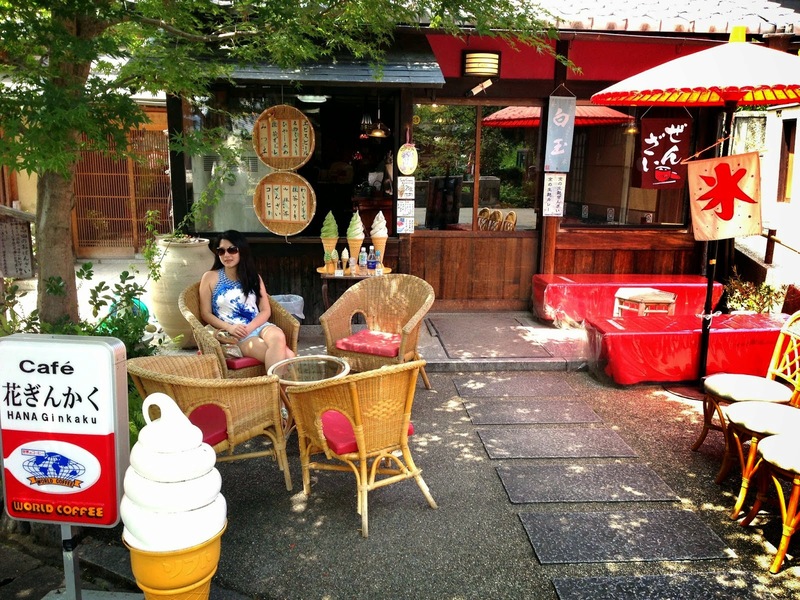 Lunch time.. we ate at this little shop where locals buy take away bento boxes. 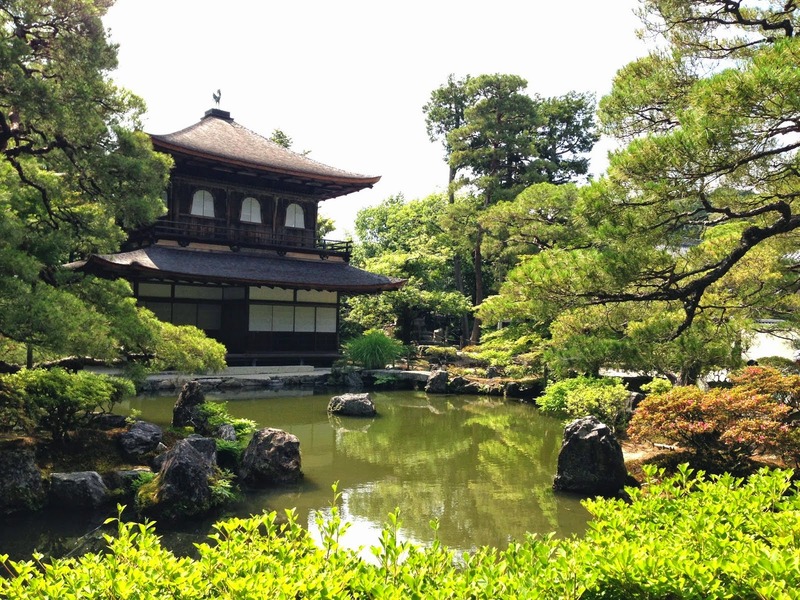 We then took the bus to the Ginkaku-Ji Temple because it was too hot to walk. 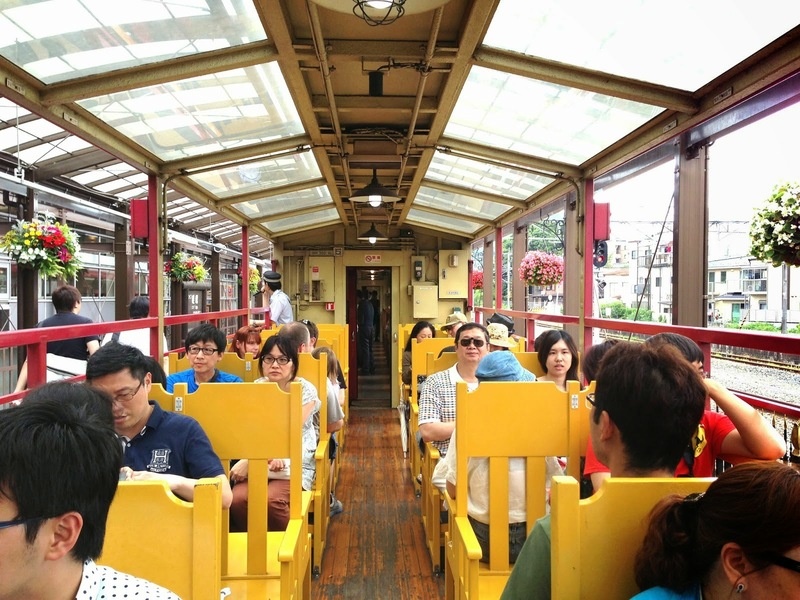 Just a tip - it is really worth it to buy the unlimited one day Kyoto bus ticket. 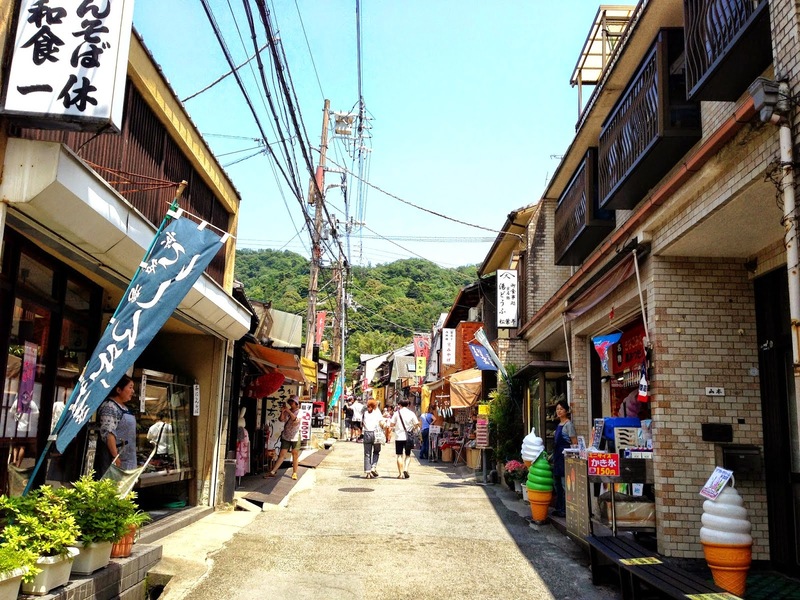 The path to the temple was lined with souvenir shops, and a LOT of ice cream shops! 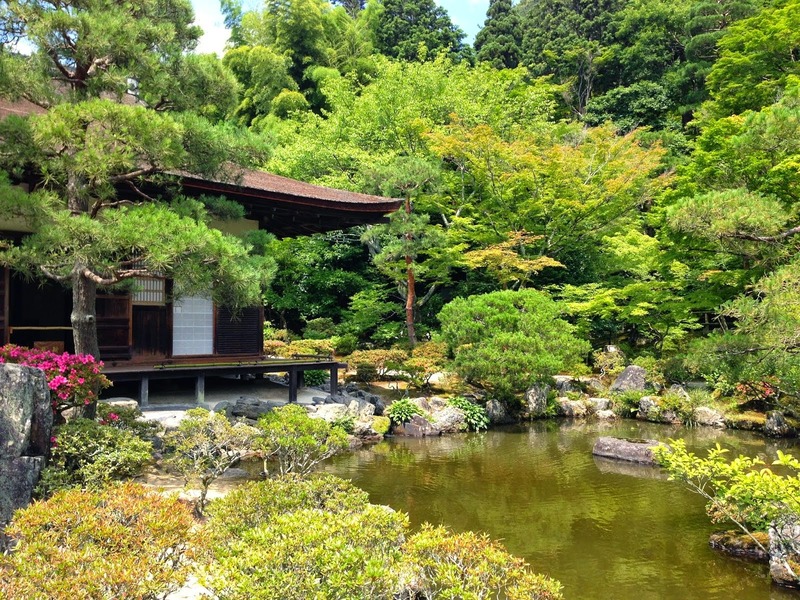 It is Zen, and also known as the Temple of the Silver Pavilion. 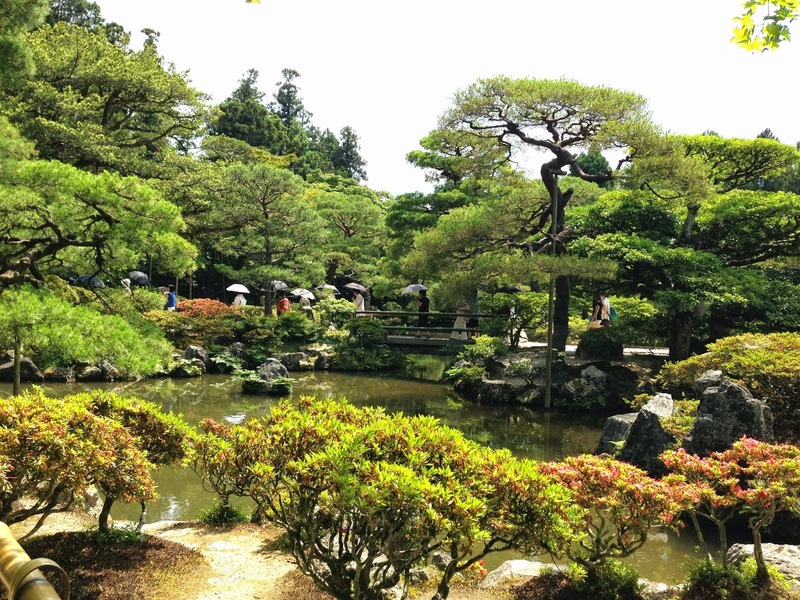 Don't you just love Japanese gardens?! They are so pretty in Summer.. I hope I could see them in Spring, Autumn, and Winter when they are even lovelier! Before moving on to our next stop, we had to cool ourselves for a while. 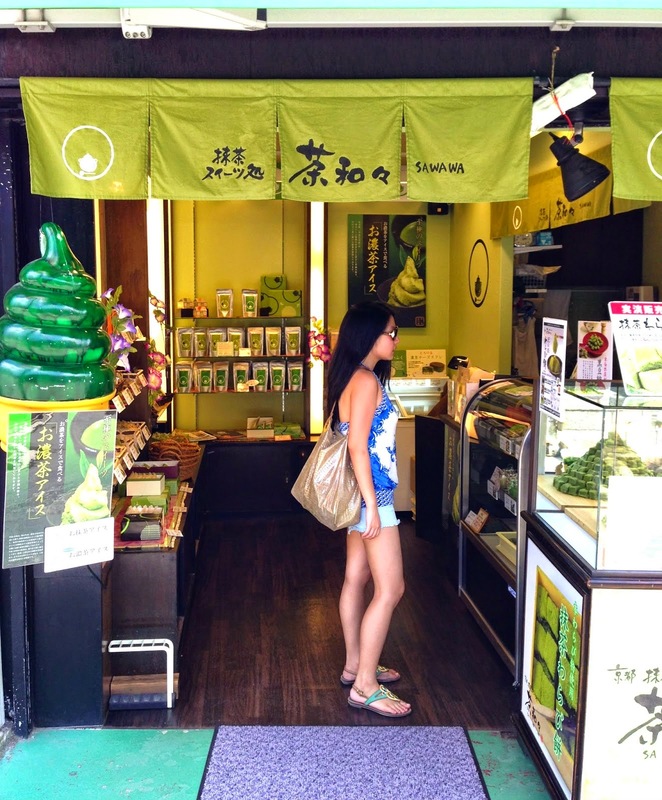 We tried a few, but this shop served the best Green Tea Ice Cream! Starting to walk again.. at the Philosopher's Path. 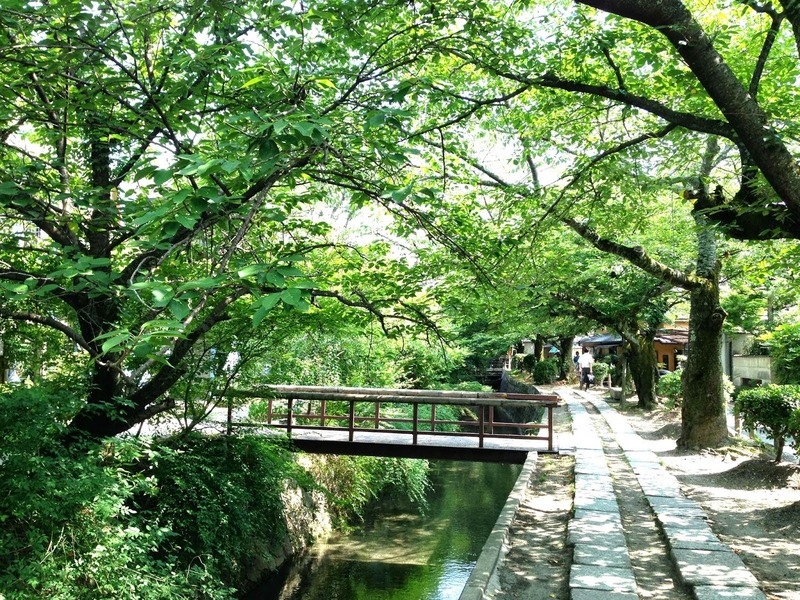 It is a pedestrian path along a canal lined with cherry trees. 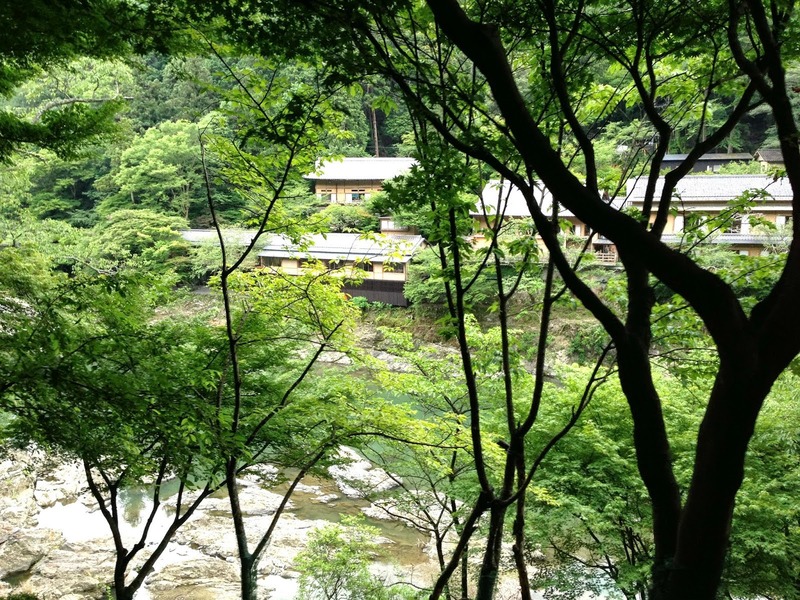 A Japanese philosopher used to walk here everyday to meditate, hence the name. 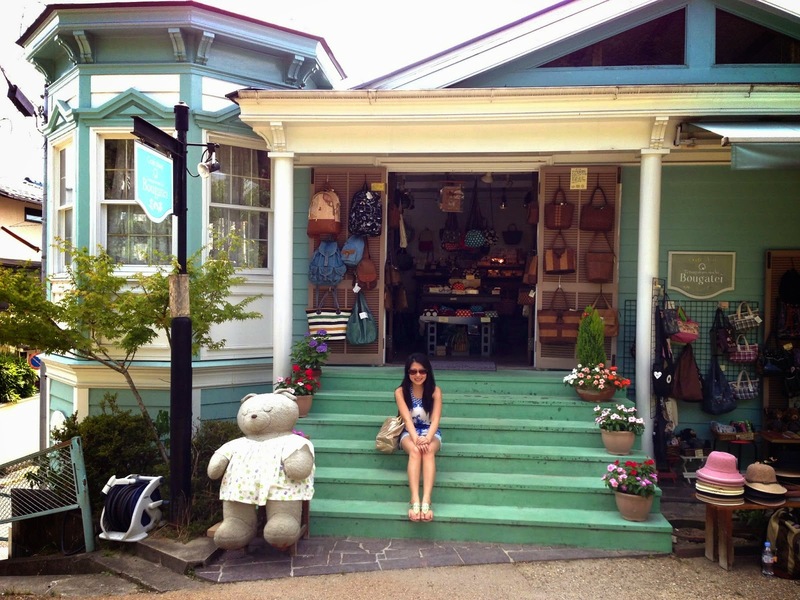 Imagine coming here during Spring with all the cherry blossoms! It would just be heaven!! The walk was only at least 30 minutes, and really beautiful and fascinating.. but the summer heat just made it really exhausting. 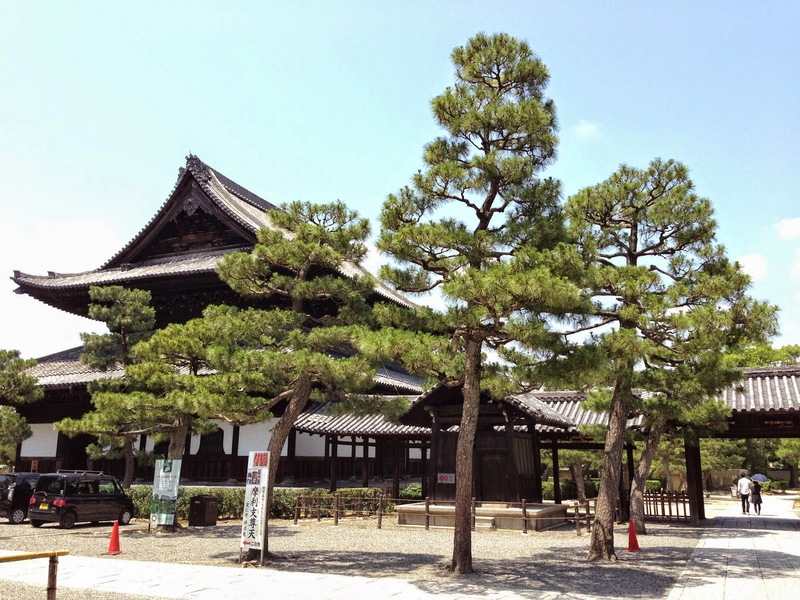 There were also a lot of temples and shrines along the way, but we did not check them out anymore. 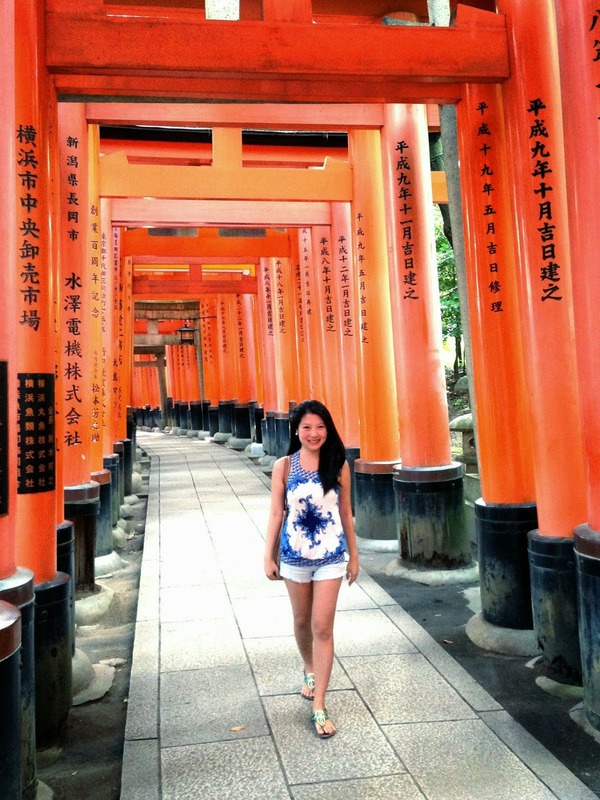 And here we are.. at the Fushimi Inari Taisha. 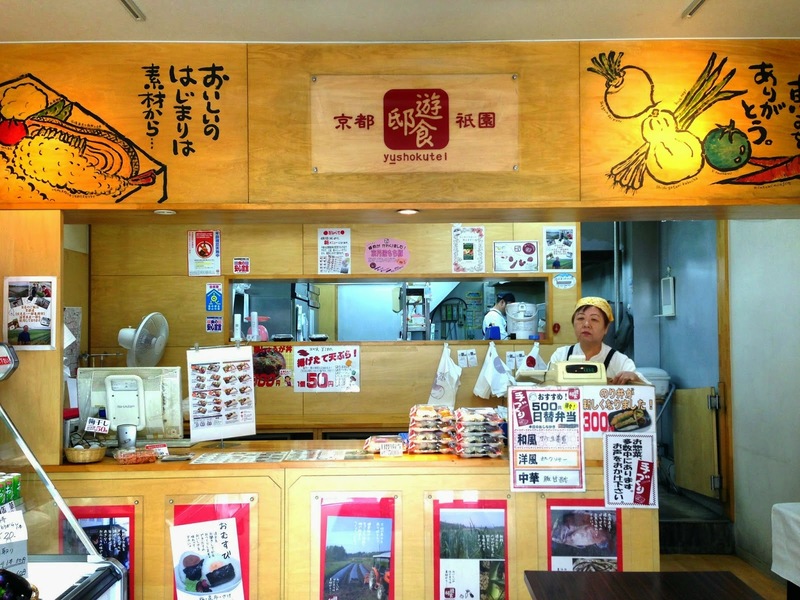 Inari is their god of rice, and merchants and manufacturers traditionally worshipped him. 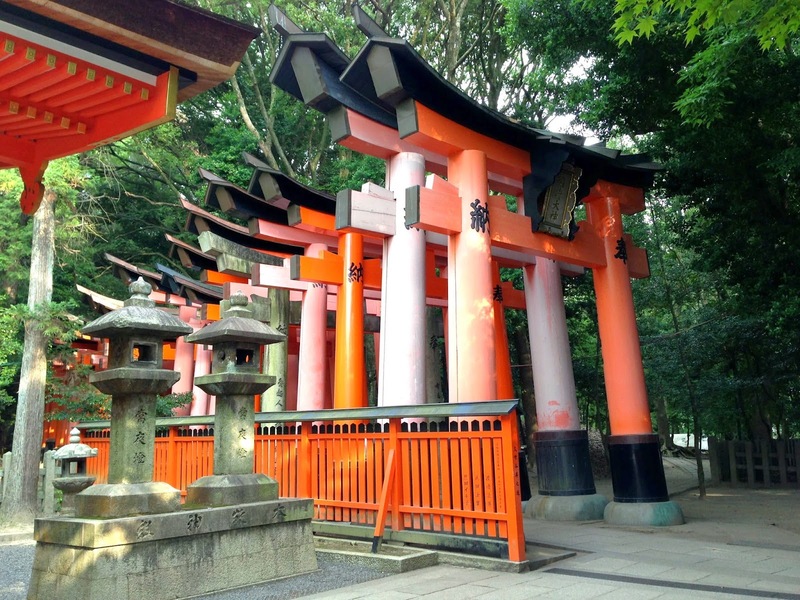 The path to the shrine is lined with thousands of Torii (these orange traditional Japanese gates). 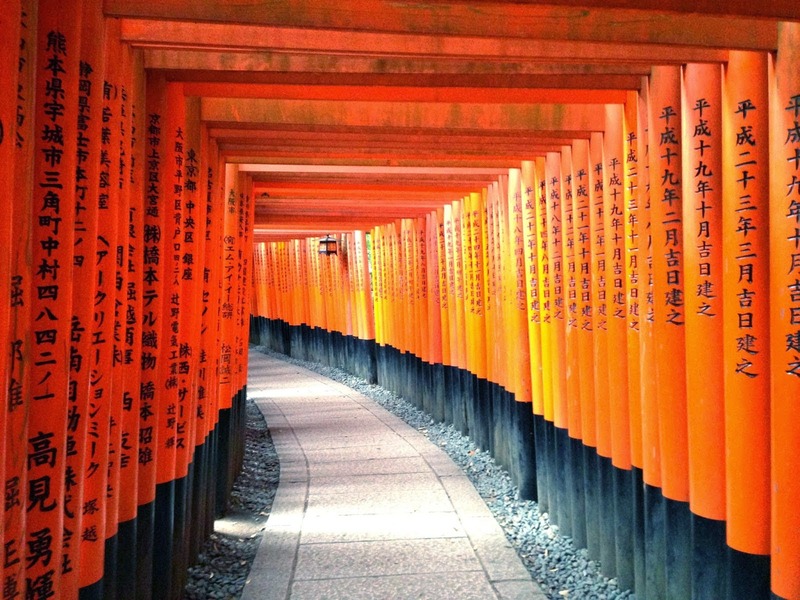 Each of the Torii here was donated by a Japanese business. 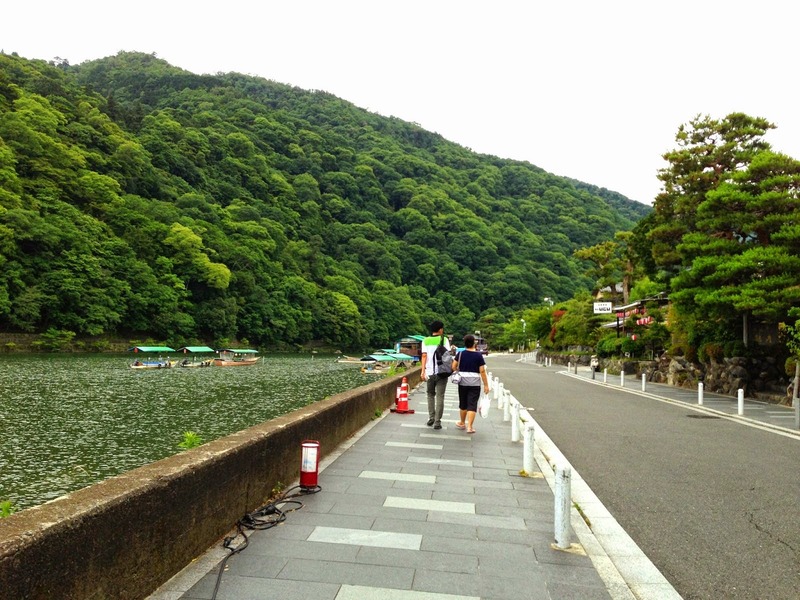 Also, the ending scene of one of my favourite movies, Memoirs of a Geisha, was filmed here. 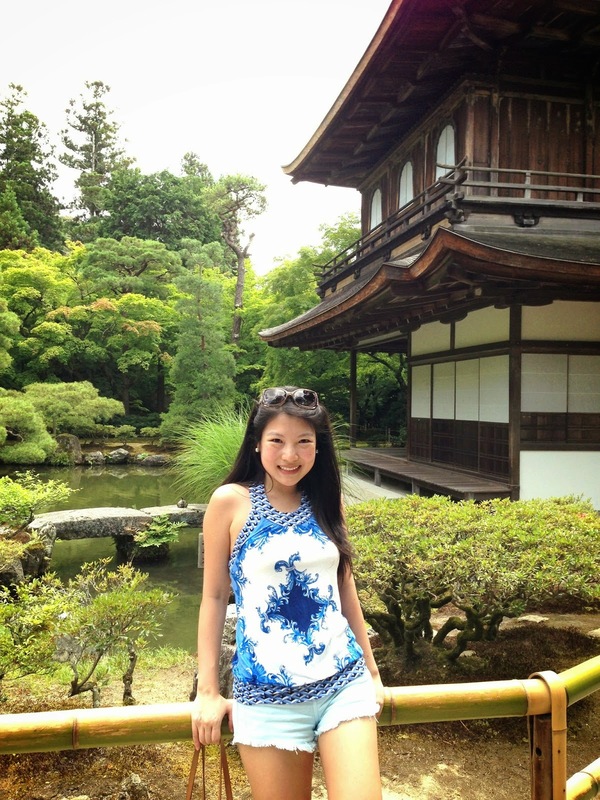 This was where the child apprentice, or Maiko, was running through, smiling. 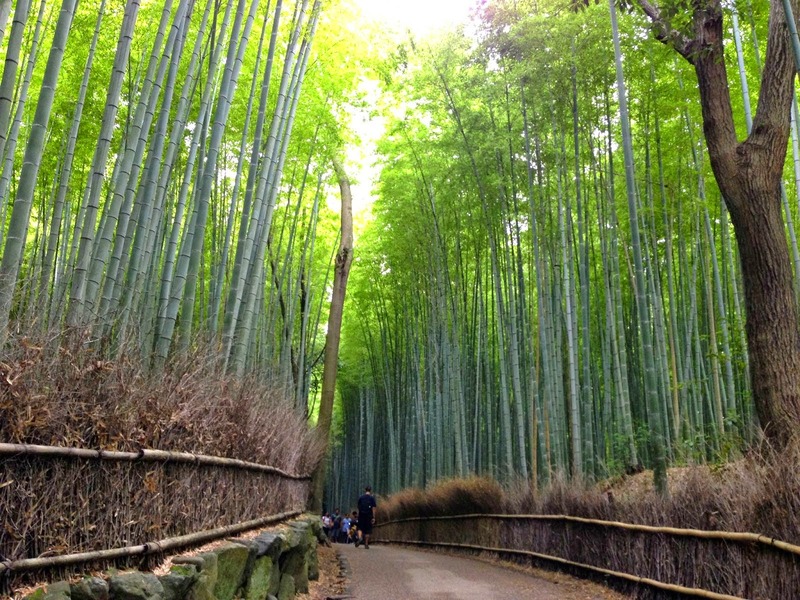 On our second day in Kyoto, we went to the Arashiyama area. 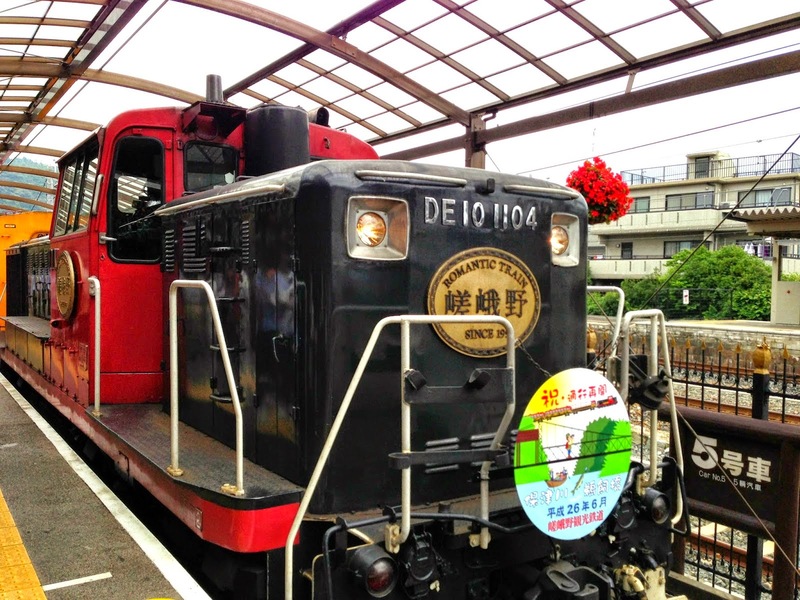 We decided to take it slow and relax on this day, so we took the Sagano Romantic Train for a scenic ride.. departing from the Torokko Saga Station. 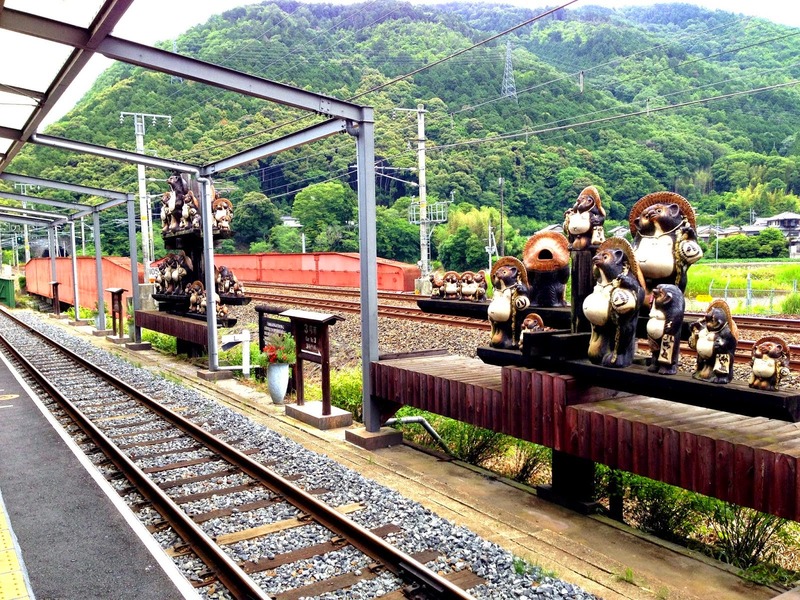 It's an old-fashioned train with wooden benches, and goes through the mountains along the Hozugawa River. The 7 kilometre journey that passes by a forested ravine takes 25 minutes. 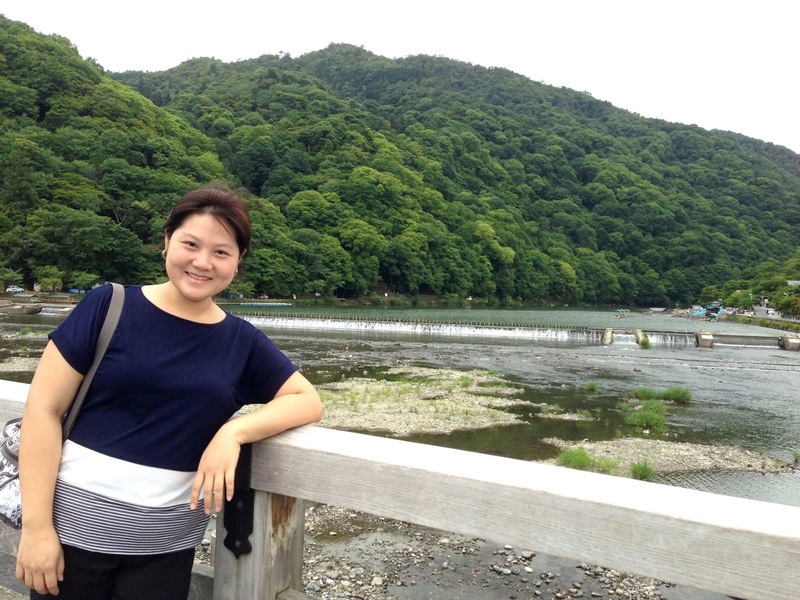 Took the train back to central Arashiyama, and here we are at the Togetsukyo Bridge. This bridge has often been used in historical films. 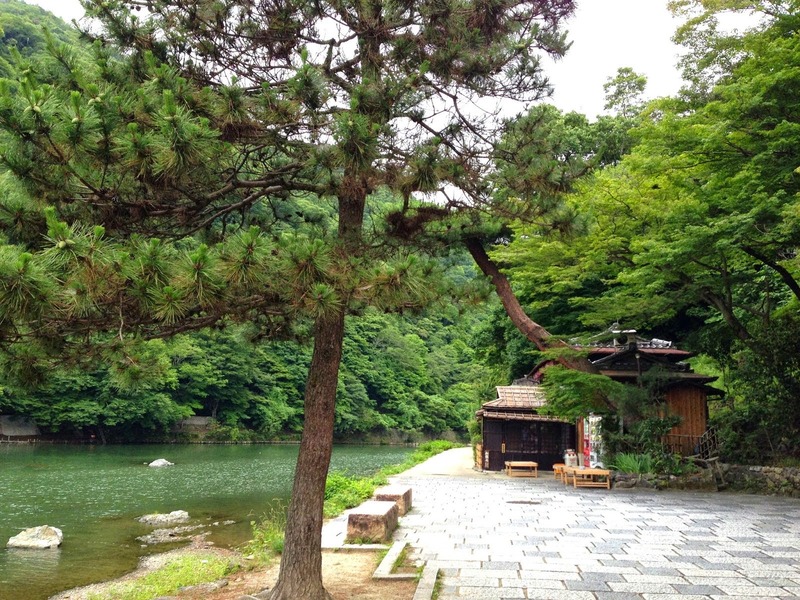 It crosses the Hozu River on the west, and the Katsura River on the east. 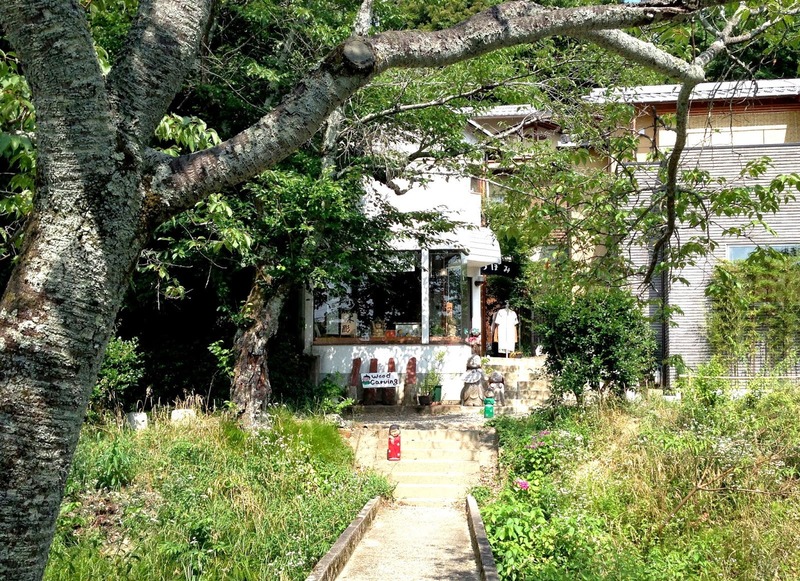 A cafe by the river. 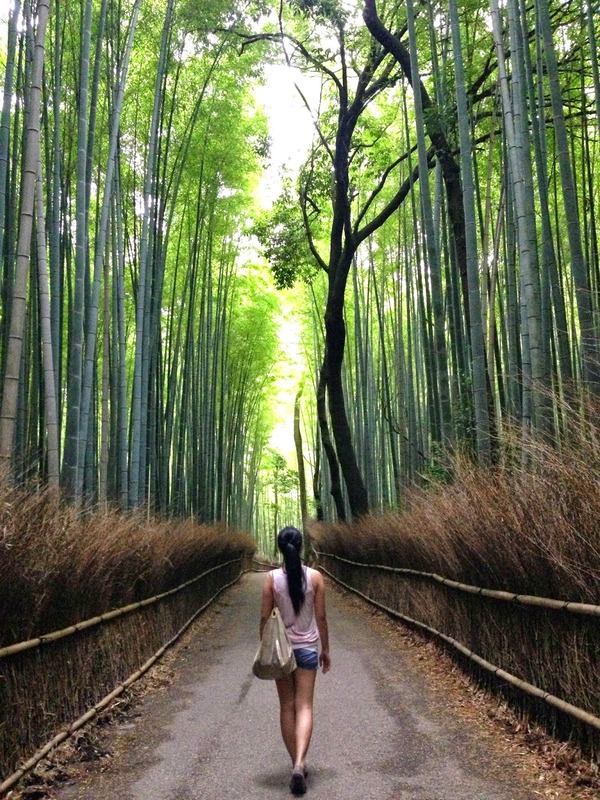 And after a loooong walk.. here we are at the very refreshing Bamboo Grove! 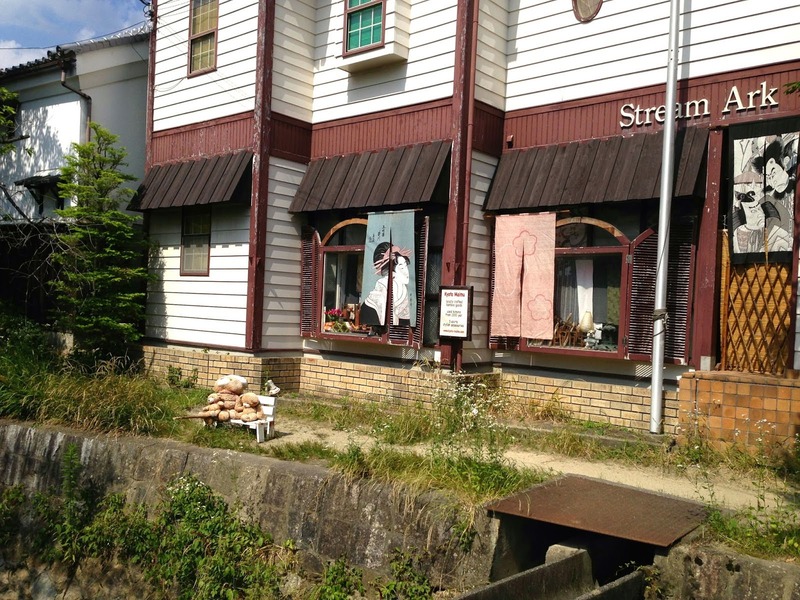 Another scene from the movie Memoirs of a Geisha was filmed here. But now it's time to go. 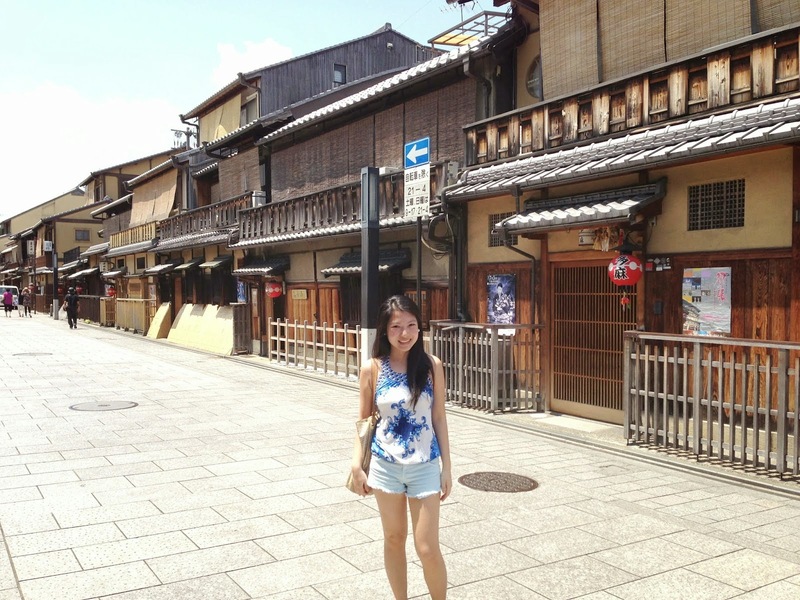 I am not done with Kyoto though. I really loved it, and there are still so many things to see. cool page! enjoyed browsing it.